A £75 deposit will be taken at the time of booking, per room booked. Good news! Although this deposit cannot be refunded it can be transferred, for the same offer to an alternative date. Offer is subject to availability and does not apply to existing bookings. These rates are non commissionable and can not be used in conjunction with any other special offer or promotion. 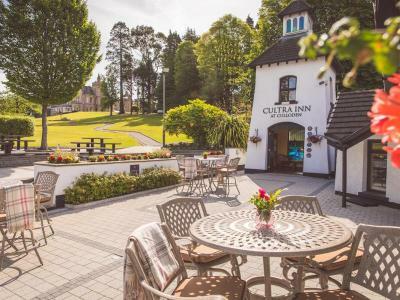 Dinner is in the Cultra Inn, not in the main building of the Hotel, but in the grounds. Please state preferred time for dining (subject to availability).